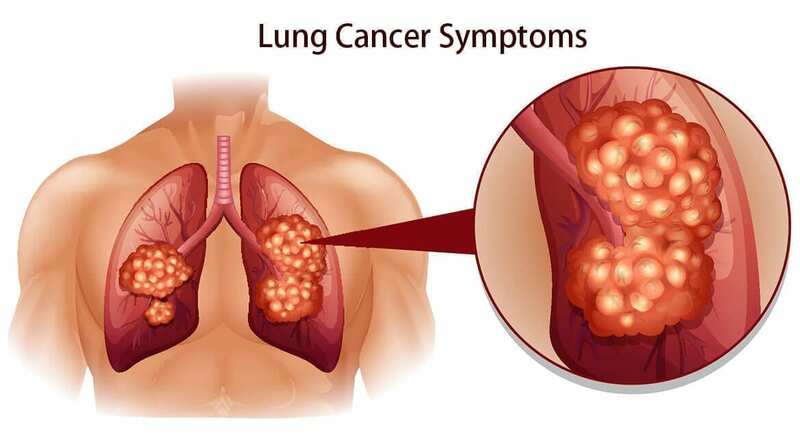 These 7 Lung Cancer Symptoms Tell About your Lungs’ Condition Completely! Ever wondered if there’s anything purposeless in our bodies? You might find few debates on the internet and scientists’ world regarding few parts like appendix and eyebrows et al, but the entities created by our own serious mischiefs stay back in the body to create disasters. 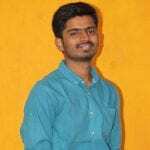 Cancer is such topmost blunder of the modern human era. We are going to study the in and out of Lung Cancer Symptoms today. The presentation gets a thorough knowledge of what is lung cancer, its types, and causes. A brief idea about its treatment in natural ways is also discussed to some extent. From the view of the usefulness of organs of human body, lungs precede many organs in the list. Bones, muscle, and skin can be listed later though, for them, they have their own importance to be constituted in the body. One interesting fact here is that the most important parts of the body are not visible and we do not witness their activities, nourishment, and their health at least. Such most significant parts are the brain, heart, liver, and lungs, etc. We only think about those parts and look after the food intake and slight symptoms to estimate their health but we never take the focused time to look into their health unless we come across any serious hint about their damage. Like the way we judge the development of a state by its roads and infrastructure even though these factors define it to a minimal extent in comparison to hungry and happiness indexes; we only take more care of directly visible skin, stomach, bones than lungs, brain, and heart which is merely a mediocre way to understand the health of a body. When you want to take good care of your precious organs like lungs and heart, you must know what they do. Then, there’s no worry in finding how to protect them, with the least scientific knowledge on medicines and diseases, we can get along with many problems. Lung cancer symptoms, especially, will be defended by our body’s abilities if we precisely understand their nature. Now, it is time to define cancer. So far the discussion is started, my focus was literally the term ‘cancer,’ to define what’s more important in the body and differentiate what menace are we creating in the body, i.e. addressing the tumours. Creating the foreign material in an accumulated form that is hazardous to other parts of the body is the mechanism behind cancer’s evolution. When you do it in the lungs, they get infected in stages. The advancement of the disease depends on how you react to the lung cancer symptoms. But if the growth is asymptomatic, you got to be very smart in estimating the disease and its danger. The lung cancer stages can be easily understood with the knowledge of basics about how it happens. 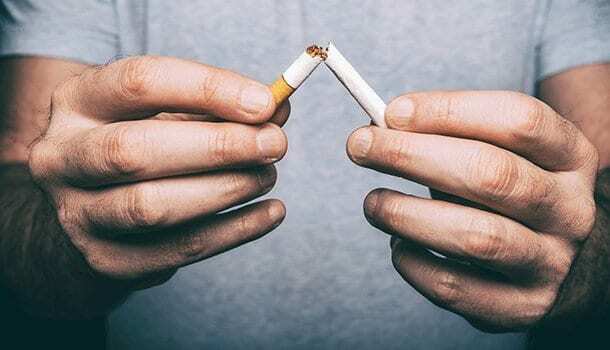 Lung Cancer Causes – How it happens? Any cancer is a result of extreme inflammation of the organ due to free radical effect. Accumulation of terrible free radicals in lungs leads to the growth of a tumour. Most of these infections occur without our notice, i.e. without showing any physical symptoms. The causes are very much underlying for the symptoms to be unnoticeable. Upon research, these bullets are found to be leading causes which all seem to address one issue, the respiratory health. All of the above causes of lung cancer are similar to a greater extent. The genetics can be different from the other reasons but it is an invariable cause for any such disease. If one of your family members had lung cancer, there is a huge chance for anybody in the family to get lung cancer. If your body shows any of the smallest signs of lung cancer, do not neglect to verify it with the physician. Other reasons of pollution, exposure to asbestos, radon gas can be put into one statement, i.e. smoking. Smoking is apparently the only cause of lung cancer. Lung cancer causes are generally taken granted to be around smoking. It is because the lungs and the respiratory veins get damaged due to the breathing of polluted air but nothing else. Smoking, a giant problem of the world which has been consistently ignored by the smokers. The major effects of it are not just cancers but they also lead to radioactivity, diabetes, loss of appetite and taste, infertility, immune deficiency, etc. Pregnant women also face threatening problems with smoking if they still smoke after getting pregnant. One bad thing about smoking is that even a single breath of tobacco will take the strength of lungs off. Every time a cigarette addict feels, “one more puff is not so dangerous, let me smoke.” This will never work. A single breath of smoke takes you away from that moment of health permanently. This is the main issue that makes second-hand smokers also the victims of lung cancer unknowingly. The problem of air pollution is always there. And it never stops affecting people as long as it is there. Lungs are the most sensitive parts that succumb to bad breath. It is because any contamination in environment first reaches your lungs before touching any other independent organ. This makes lungs more sensitive. Breathing the air that is filled with asbestos is another major case found in lung cancer causes. Generally, asbestos exposure is on those who work in rock mines. Radon gas, one more common problem for those who work in soil and uranium exposed areas. Because of the large time spent in the places of such polluted, harmful environments, we are highly prone to get a lung cancer. Apart from carcinogens and pollutants, the diseases like an obstructive pulmonary disease also have a high impact in the attack of cancer. Being a sufferer of any lung infection/disorder, we cannot ignore such issues anytime as lungs are prone to cancer attack more. However, lungs can show indications if any minor disturbance happens during respiration. Any minor hint must be compared with the regular lung cancer symptoms. We must care for those hints and immediately take some action for recovery. Breathing problem is found as a symptom of many respiratory diseases. Lung cancer is primarily affected in the core of the lungs. Thus, the shortness of breathing happens eventually with the progression of the disease. If the disease gets severe, breathing becomes a serious discomfort. The narrow airways are more sensitive to cancer and if you find it difficult to breathe after mild exhaustion like jumping, climbing stairs, etc. there must be something serious going on with your lungs. A cough is of several types. Whichever a cough it may be, being persistent and producing mucus, can indicate lung cancer. A dry cough that throws up the blood out of the body is an advanced sign of lung cancer. Most cases of coughs that produce blood are only cancers. Temporary remedies may control bleeding and coughing but if they don’t work positively to prevent cancer growth, the advancement of the disease becomes unstoppable. The better thing to choose is to consult your doctor upon identifying any harmful symptoms. 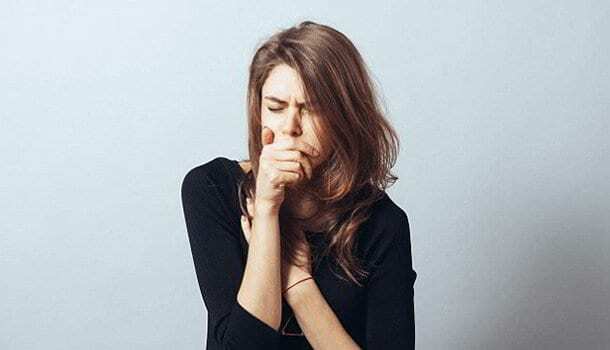 Having neglected the persistent cough, now you are stepping into even more adverse impacts on your health. Because of a cough, the voice may experience few changes. With lungs having tumours, when their effect is on your voice box, there must be a change in your voice. In any way, we cannot consider this as a hormonal change(like in teenage). Particularly in the young age, voice change is not expected as it addresses one of the signs of lung cancer. The wheezing sound in your sleep can be a sleep apnea sign. But if you wheeze when you are awake due to inflamed lungs or blocked airways, it is one of the clearest lung cancer symptoms. The wheezing sound cannot be due to other respiratory ailments like asthma or pneumonia. The advanced stage of lung cancer can bring such symptoms of voice changes. Another independent symptom of lung cancer, paining in the chest region. Chest pain may occur as an early symptom of lung cancer which happens due to the accumulation of fluid in the lungs. When it pains a lot all of a sudden, it can be a stroke whereas cancer causes a mild pain in the beginning and the pain grows gradually. Advanced lung cancer stages cause chest pain and lymph node inflammation simultaneously. Divided from chest, shoulders and neck region also get aches occasionally. Any pain can occur at first, it needs not be spreading of the pain originated from the chest. Losing weight has serious issues with cancers like stomach cancer, colon cancer, and blood cancer etc. But the direct lung cancer symptoms nowhere show their relativity to bodyweight. How does it actually happen? The mature cancer cells are our own body cells that become cancer after completely getting affected by original cancer cells. So the cancer cells are the in-house threats that destruct our strengths of immunity, metabolism, cell tissue nourishment, etc. Losing weight for obese aspirants may be a good thing. But shedding pounds without even trying is an important concern. If you observe rapid weight loss in such a manner, it must be the sign of lung cancer. A headache that is caused due to the spread of cancer to the brain may be one situation. Due to the pressure of a tumour on the veins that move towards brain is another situation. In both the cases, the pressure on head lasts for more time than usual headaches. When cancer spreads to the brain, that can be called an utmost severe stage of lung cancer. Generally, any one of the direct signs of lung cancer can define the state of your body before a headache related to lung cancer occurs. So it can be found at the last stage by when we must have started the treatment. The spread of lung cancer may also reach bones and muscles. Deep in the bone marrow, the cancer cells take the place to curb tissue health and this effect goes quite irreversible. Joints and bones are affected at a great intensity. With time, the pain gets worse and body parts become very sensitive to slight movements also. The bone pain and joint pains are associated with neck and shoulder pains. Fortunately, these are not seen as primary lung cancer symptoms. We can protect the body from reaching this state if we react at the early stage.